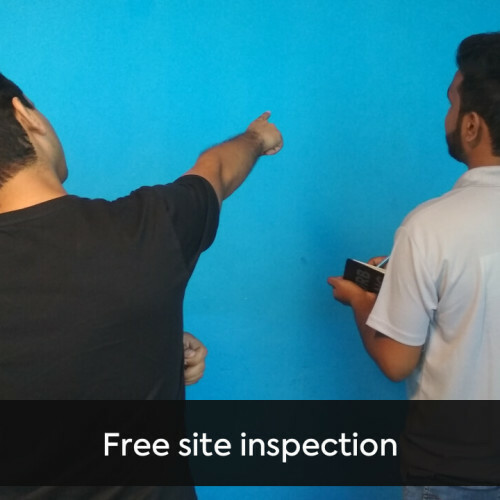 You can now book one of our top house painters in Pune in just a few clicks. Why? Because not only our professionals some of the best painting contractors in Pune, but they're also skilled, experienced and suit different budgetary needs. These top painting contractors in Pune use laser-accurate measurements, get the work supervised by a dedicated project manager and complete the job in time, all this while maintaining premium quality. Your furniture stays protected and your walls are coated with 100% genuine paints. So, consider our best wall painting services in Pune today! Satosh is a nice guys. Very professional and trustworthy. Fast work and one timw delivery with excellent quality. Great work with on time delivery with maintained quality. Highly professional team. He painted our house in Pune. There were 3-4 labours who came to do the project with material and did it within 2 weeks. The final charges of the project were around Rs. 50,000. Really liked their work and will surely hire them again in future when needed. He painted our house in Pune. There were around 4-5 labours who did the work along with him who did some minor repair work and then painting and got it completed within 2 weeks.The final charges were around 35000. I really liked their work and would really recommend them to all. Rahul Raju Jadhav & Co.
rama raohired Rahul Raju Jadhav & Co. 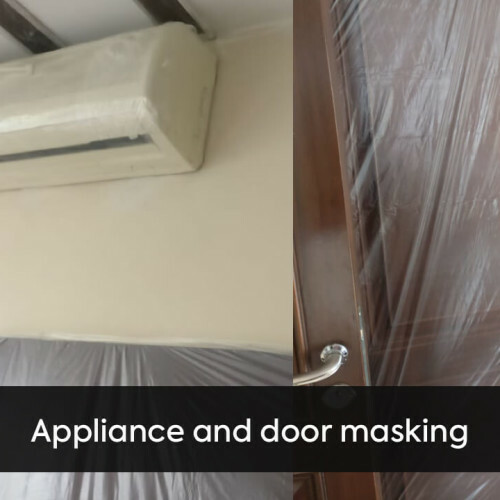 I was thankful to Mr Rahul for really did a wonderful work of house paint such that he was really a nice person and provided good work and proper finishing work was done by his team.He charged reasonable amount and was very cooperative in nature . Thanks a lot for your support urbanclap !! amol mhired Rahul Raju Jadhav & Co. Excellent service by rahul in very affordable cost. Really appreciate. We liked d work done by ganesh vitkar.. Very professional, good job done. The wall paint had an extraordinary mix of design and art. All the artists were on their toes to complete the painting. Great work done! He is a very good painter. He completes the work in time and is very professional towards his work. The material quality is extremely good and at a very minimal cost. I am very pleased with his work and would call him for his services again for sure! .. I think the quality of the work is pretty good and the commitment to finish it within time was the thing I liked the most. I called Asif to paint my entire flat. He is responded within time and has given his 100%. He painted my 2BHK flat in 25000rs. and that too within 1 week. He also has a good command of his team which got the work done in a week. I am satisfied with the prices that he charges customers. I would recommend others to take his services! Great attitude and advice on colors. Competent and work done is thorough with excellent finish. Was willing to let us try out color combinations and change them when they did not work, even the premium shades. Payment schedule is very easy. He never pestered for money at any time. 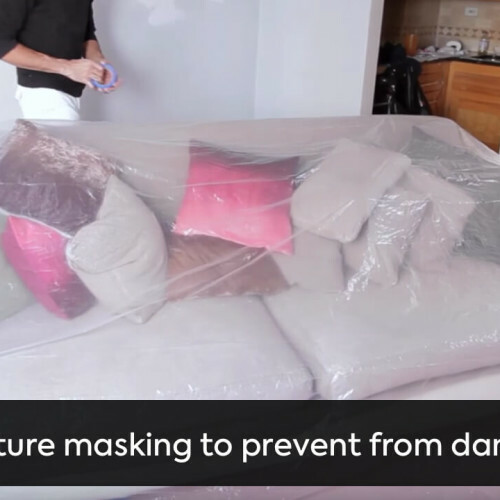 Covering furniture could be better, and fewer changes of workers. He was very flexible and we even had electrical work and furniture polishing done at the same time. I hired Babasaheb for 2 BHK painting work. He has good knowledge of different types of paints available and suggested the best one as per my requirements. Entire paint work went smoothly, without any hassle and the end finish was good. He also take care of moving furniture, arranging it post pianting, covering non moving furniture. 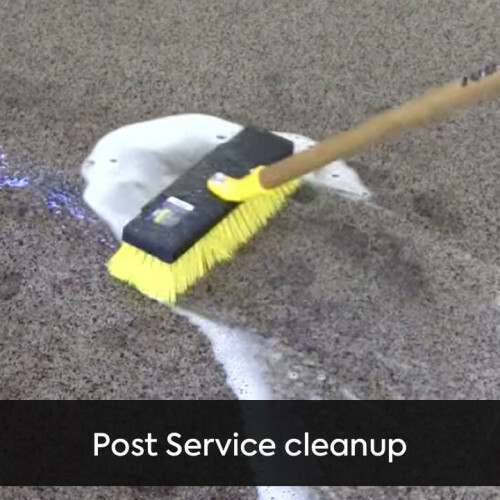 Post cleaning services are also good. I am totally satisfied with the services. Sagar and his team was thorough professional. they did job superbly. you just hire them and relax and sit back they will do the job as they are working for thier home. I highly recommend Vandana indoorcreator.. I am very happy with painting work they did at my home. Excellent painting done and very polite and good painters. He was very professional and helpful while painting my apartment of 2 BHK. The work delivered by him was great and was completed within 5-6 days and a budget of around 23 k. I have not faced any issue with the work done since then. Ranjit Ajit did a perfect painting work at my 1 BHK apartment near Kasba Peth, Pune. The job was completed within 3 days of time. His reference was given to me by a friend and he has good quality work as an output. Very happy with his work. 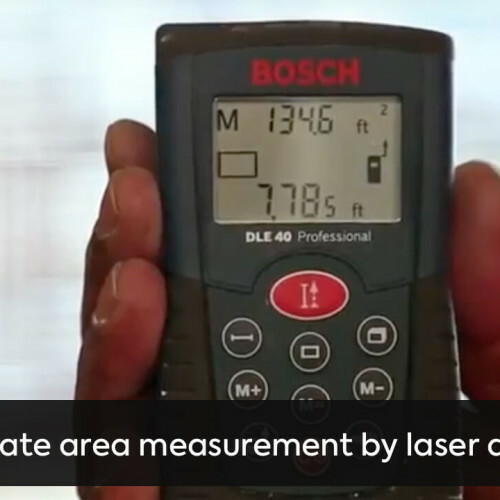 Measurements and estimates are precise and very quick. He has always listened and resolved all the issues i ever had during the painting. Sometimes his phone is not reachable but very prompt on whatsapp group. When I contacted Ajay Singh, He promptly replied and fixed up a time to visit the site, though he was at a good distance. He arrived on time, quickly answered all my queries to my satisfaction. He took the rooms measurements and explained in detail how the work was going to be done. 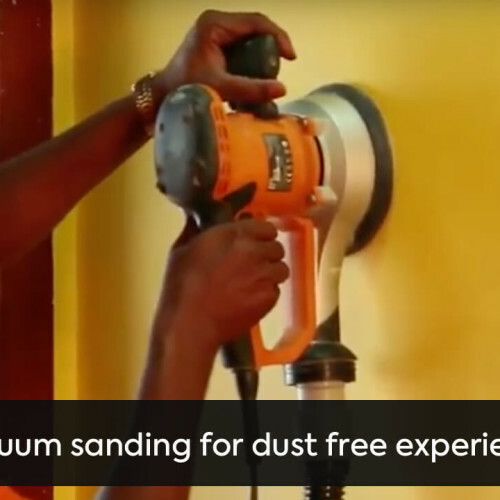 He contacted the contractor and explained to him the work and started the very next day. Kept in touch to check the progress and satisfy any queries I had. Overall an excellent experience. 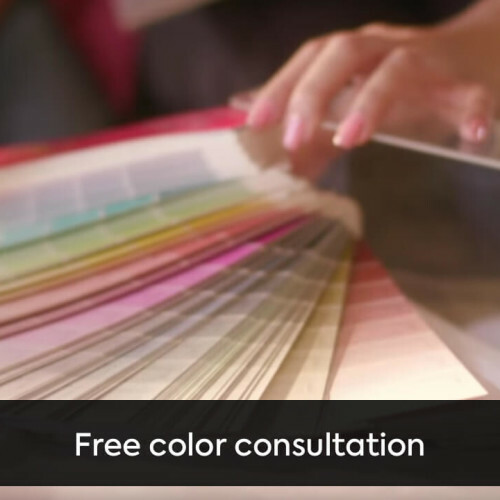 Our experts have a variety of brands and have an extensive shade card that will appease your eyes. We ensure quality of the service by checking whether our partner is using a trusted brand that will not only last but will give you the desired finish. Using quality paint and primer is a given. However, preparing the walls for painting is the most important part. You need to hire a trusted professional who will spend time in cleaning the walls, scaping the old paint off it and apply the primer evenly to the walls so your paint job can last. Looking to hire professionals in Pune? What makes a house ready to move in? Most people would answer after the house wall paintingt has been done. For a home where you have been staying for several years, a new exterior wall painting can give a fresh look and feel of a brand new home again. A good house painting adds the to the asthetic of the house. A look on the fresh exterior wall as well as the internal wall painting makes a home stand out and feel great for the host, guest and the visitors. A House wall painting can be done on your own. However a person with no or very low experience will not be able to do a passable jobas far as building painting is concerned.. So it is important that the home wall painting is done by an expert. At Urban Clasp we have solution to your house painting needs. We have a diversified list of house painters in Pune who are not only best at their job but also affordable. Preparation: Before painting, the walls need to be prepared like any metal or wooden surfaces. This may involve sanding, putty fillings, primers, etc. Total paint cost varies depending on the preparation required, size of area to be painted, and so on. The Right Choices: The colour which looked great on computer screen may seem entirely out of place with a wrong finish. Finish of the colour is very important. Professional painters in Pune will guide you with your home painting ideas in the right direction. The exterior painting cost could be taken down if the right choice of paint is done. Efficiency: Professional home painters will use the exact required amount of paint and would know how to use it. There would be no drip lines and no unnecessary paint coats. Equipment: Modern professional house painters will not only ask to buy paint brushes but also will get their own gears for full building painting. Their set of tools includes brushes, mechanical sprayers, patching tools, rollers, ladders, paint trays, etc. They will ensure that they get their own safety gear and other protective gears. No Spills and Marks: The painting contractors will ensure that your floor and furniture are protected from any paint spills while doing inside home paint jobs. Time-Saving: A team of professional painters in Pune will set the time schedule for house wall painting and adhere to it. You need not keep guessing how long it would take to complete the job into your home or your room. You will also avoid mistakes and potential injuries during the house wall painting. Quality: Painting contractors ensures high quality results, with clean lines, using tapes wherever requires for the perfect result. Cost Estimation – A professional painter can help you in deciding what should be the estimate of exterior painting cost or the wall painting cost . A professional painter will have the expertise to provide house painting estimate prior commencing the job. Decide on the colours and shades you want for home wall painting or commercial paintings before hiring professional painters. Also you need to decide whether you want to an expert for building painting or just for a small area of house. Also, understand different types of paints before you choose the best exterior house paint or interior paint. You can also do a cost analysis from your local vendor and the one from any branded service provider. Generally, the berger express painting cost would be little higher than the local provider for home whitewash services. Composition and type of finish are the two factors that matter the most in classification of paint. The composition of paint also depends on the usage such as outside house paint or the interior painting. Your house painting estimate will depend on the type of pain used for house painting. To understand which type of paint to choose, understand the differences in various paints. For a perfect home wall painting , the paints have to be mixed with a base material. Paints are either oil based or water based. However, there are rare occasions which have combinations of both. The cost to paint a house depends on the combination of paints used in the painting Below is the brief overview of the terms used to describe paints based on the composition of the paint. Latex Paints: Latex paint does not contain any latex and is water based. 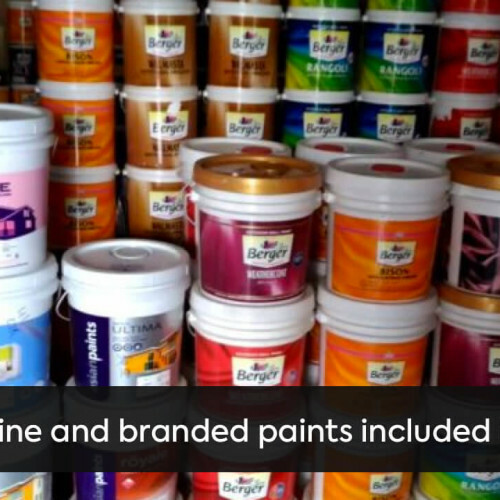 This is the most common type of paint available for interior and exterior house paint. Emulsions: Emulsions are water based paints and are also known a plastic paints. Most Indian brand offer these paints as mid or high end range paints for building painting. Though they are available at lesser prices as well. Emulsions are best exterior paint choices as it needs to protect walls from dust, pollutants, rain and even birds and animals. Special emulsions which are used as exterior house paint ensures your property looks new for years to come. Enamel: Enamels are oil based paints. These paints are used for metal and wooden surfaces and are not recommended for wall paintings. Though, some enamel paints can be useful as room paints. Acrylic Paints: Acrylic paints use acrylic as a binder. These paints are much durable than the enamel paints. These can be oil based or water based and are best exterior paint if mixed with Oil base. Water based acrylic paints are available in the market. It can be washed with water and mild soap or detergent. The use of Acrylic paint in exterior wall can be expensive and the exterior painting cost can go up . Alkyd Paints: Alkyd paints are oil based paints that allows manufacturers to achieve a flat or matte finish with enamel varieties of paint. It can be easily cleaned with mineral spirits, which you otherwise cannot do with most emulsions. You can calculate the interior house painting estimate basis the choice of paint you are planning to use. Distempers: Distempers are lime or chalk based paints with or without binding agent like acrylic. This is similar to ‘chuna’ or whitewashing in urban homes. It is losing its popularity due to common problems like chalking, flaking, and due to low life span. Distempers are much cheaper than emulsions but its needs frequent repainting. Now a days distempers are not used in home wall painting. Limewash: Limewash is the traditional ‘chuna’ which was very common for interior room painting in the initial years. It is best avoided in modern home, unless you are trying to achieve a certain look. It does not last long, comes off touching, highly prone to chalking and are not at all environment friendly. Even though the exterior painting cost is low with use of limewash, its is generally not used very often due to its non-durability. The painting cost per square foot using lime or the whitewashing cost using lime is really low yet people refrain using the same. People are generally more interested in choosing best house paint colours than understanding what it is made up of. The finish of the paint determines what it is best suited for. The texture and finish of the paints will influence the final look in home wall painting. Apart from the requirements that the paint shades do not fade become flaky. The overall cost including the exterior painting cost would depend on the type of paint uses. So, below we discuss the various types of paint finishes available in Indian market. The list is arranged in the order of increasing gloss or shine. Flat: Flat has the least reflective finish than the popular matte paints. Flat paints are not easily available unlike matte paints. Flat paints are a good choice if you want non reflective surfaces. It absorbs and does not reflect light. This infers that the shades of adjoining walls and furniture will appear muted and subdued. This is best choice for home wall painting with too much ambient light. An interior house paint is generally of Flat finish. Matte: Matte is like flat paints. It is around far longer than the flat finish paints. Matte finish paints are preferred when people opt for non-shiny look especially in interior house paint. Matte finish paints have a slight velvet-like texture. It is a good choice as interior house paint as it can hide imperfections quite well. It may require several coats for desired wall painting look so it is less preferred for outside house paint. Eggshell: Eggshell has a slight sheen. These paints have a slight rough texture, similar to eggshells. Eggshell paints are not as shiny as gloss paints and more reflective than matte. The subtle shine makes them unique. It can help you achieve unique look with slightly rough texture that hides imperfections decently enough. It takes fewer coats than matte paints. Paints with Eggshell finish can be used as exterior house paint. Matte Enamel: Matte enamel is variant of regular matte paints and are considered to be best house paint because of their high durability. Matte enamel paints are oil based unlike regular matte paints which are water based. It has a non-glossy finish unlike enamel paints. These are preferred for wood and metal sections and some time used in home wall painting, since they are washable and durable. These factors make it ideal as interior paint for bathroom walls and kitchen. Satin: Satin paints are similar to eggshell paints but with a smooth finish and one of the most preferred choice for residential painting. Since a long time, some manufacturers marketed semi-gloss and gloss paints as satin. So make sure if you are buying satin, it is satin. It can brighten a wall or the entire room with a spotlight when used as a interior house paint. Since it is smooth and reflective, it tends to highlight imperfections. The wall needs to be perfectly smooth for best results. It is rarely recommended as exterior house paint. Semi-Gloss: Semi-gloss paints have a noticeable shine. It is preferred in busy areas and surfaces that may see a lot of wear. It can be used for reflecting natural or artificial light off a wall and direct it to less ambient lighting area. The shiny gloss finish highlights imperfections. Prepare the surface well carefully before painting the wall. It is not suitable for rougher surface like ceilings. Semi Glass paints are also not as outside house paint. Glossy paints have the most reflective finish among all the paints. It exudes an aura of opulence and extravagance. These paints should be done by painter from experienced and professional painting services to achieve neatly painted glossy surfaces. Gloss paints are durable, long lasting and stain resistant. It can be easily washed and cleaned with soap and water. The cost to paint a room using a glossy shine paint is generally higher. It is commonly used in bathrooms, kitchen, children’s room, open areas with high traffic, etc. It can be extended to wooden and metal surfaces in a cohesive décor scheme. They are most preferred choice in interior wall paint and not used very often as outside house paint. Any finish looks great but matte works well for urban homes and most people stop at eggshell. Satin looks great in any decor style, but avoid gloss style unless you are looking to achieve a certain look. Indian cooking generates vapours that no exhaust fan can eliminate. Also, there are spills. You may have chosen to use tiles near sink but other walls near kitchen may look burnt after some time. Since kitchen walls needs to easy clean, pick Latex enamel which works fine. However washable latex acrylic paints could provide better options. Semi-gloss or gloss paints are also best choice as interior wall paint, since they are easily washable. Most people prefer tiles in bathroom while others prefer paint in bathroom. In either case, wall need to be durable and water resistant. Kindly consult the home whitewash services to choose a paint for your bathroom basis the below pints. 100% Acrylic latex with matte emulsions for trims. 100% washable acrylic latex or even latex enamel and low-VOC. Satin or higher sheen paints that is easily washable. For high traffic, pick semi-gloss or gloss paints. Go for flat and matte for low traffic areas. In absence of natural light, opt for satin or eggshell. 100% Acrylic or water-based distemper. Flat or matte is preferred. If you want ceiling to reflect light, try eggshell though this may highlight imperfections. At Urban Clap , we offered you localised service with a complete list of a painting contractors in Pune. The professional painters shall help you out in getting an estimate of cost of painting a house per square foot. To avial the service you have to select the type of property i.e. residential or commercial and accordingly select a residential painting services or an exterior painting contractor. We have select the best of painting contractors in Pune after stringent checks and colours. At Urban Clap the value for money is top most priority. You can avail the services from best painting contractors in Pune at an affordable price. When booking relocation services, some of our major concerns are whether our belongings will be safe and will they be delivered in one piece. These are some of the genuine concerns we all have. To ensure that you don't have to worry about these and other issues, we offer you the best packers and movers in Pune. From using the premium packaging material to providing on-time delivery at your new residence, our professionals are trained, verified and experienced. Expert advice is definitely an added bonus to the well-painted walls and helps you in adding the perfect decor. Consult the Pune Interior Designers for more such tips.